Click the Sales Statistics button from the left sidebar. Select one of your magazines from the menu dropdown. Pick a date range and filter the statistics according the established date. 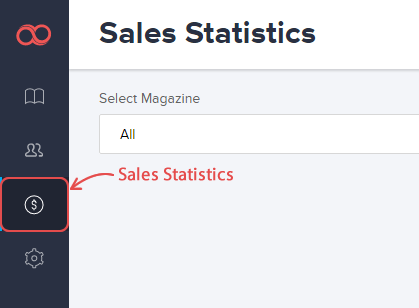 You can also filter the sales statistics of your magazine by the profit type (single issue, subscription, print order) and the profit source (Web, Android, iOS Application). Joomag blog: Your sales figures denote your success as an online publisher in more ways than one. Check more about Joomag’s sales statistics in our blog.